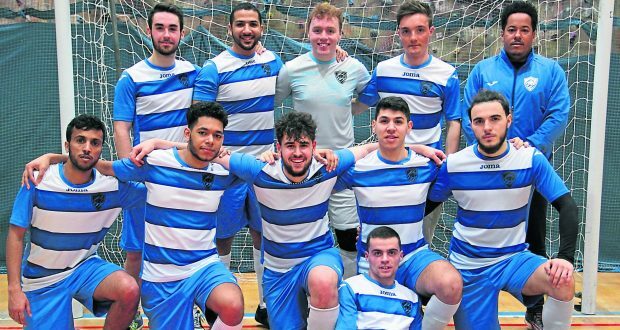 Kingston men’s futsal team can win a league and a cup double on Sunday when they face University of Portsmouth in the BUCS Conference Cup Final, after ending the semi-finals with a 9-6 victory against Imperial College. Nas Mansouri scored a hatrick, Alejandro Bandera Ruiz scored two, and Jurgen Kukeli, Josh Emmanuel, Shake Alhelai and captain Ruben Pinto all scored one each. Lifting the cup would mark the end of a fantastic first season, with Kingston undefeated and winning the BUCS South Eastern 2A league with a game to go. After Imperial scored an early goal, Kingston responded when Kukeli’s one-two unleased Bandera Ruiz for a tap in, which he finished with ease. Imperial went ahead again, scoring from a rebound but then Bandera Ruiz equalised again for Kingston, smashing his shot in, before Kukeli made it 3-2 with a powerful shot into the top left hand corner. Pinto scored the fourth then Emmanuel made it 5-3 to Kingston, before Mansouri scored, placing his shot into the corner after Bandera Ruiz passed across from the wing. 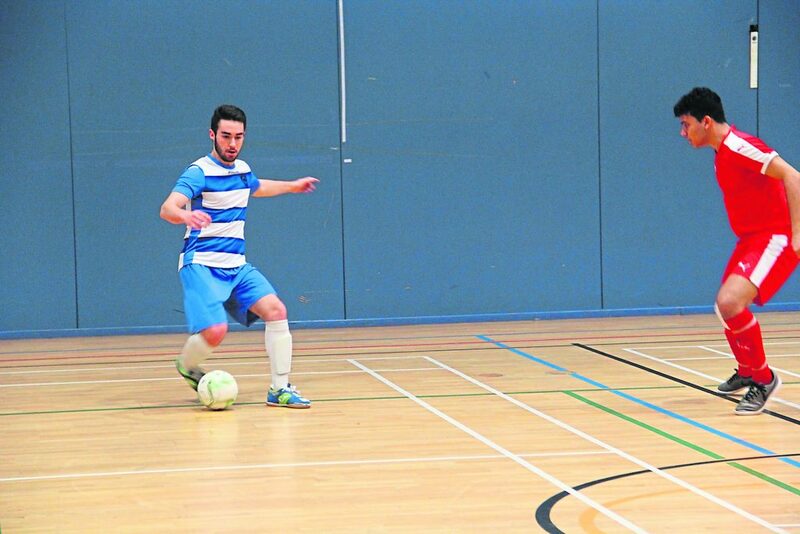 Mansouri struck again, receiving Pinto’s pass outside the area, turning and shooting quickly. Then Imperial put on the pressure, scoring twice in quick succession, a flick on the rebound, and a tap in from a counter attack. Mansouri completed his hattrick, beating 3 players to cut inside and then placing his shot, low into the right hand corner, from a one-on-one position. Bandera Ruiz tackled in defence, dribbled past a player and cut across to Shaker Alhelali who scored Kingston’s ninth. Imperial managed to pull one more back but could not stop Kingston progressing to the final, much to the delight of Pinto, who already has his sights on winning the trophy. Pinto said: “Every game we win is just a reward and winning the cup would be amazing because it would be winning two trophies without losing any games and for a new team at Uni, for a new sport at Uni, it’s really good that we can show what we can pull off. “We’re very confident because we have a good team. We’ve won all the games so far. We’re not over confident but we can believe we can do it because we believe in ourselves. 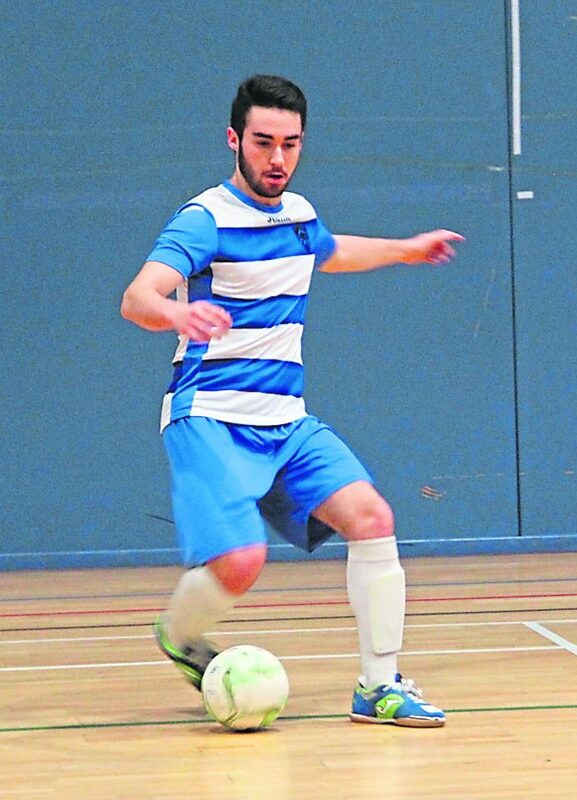 In the final on March 12th, Kingston will play at home against University of Portsmouth, the team they beat in the deciding game to win the league.